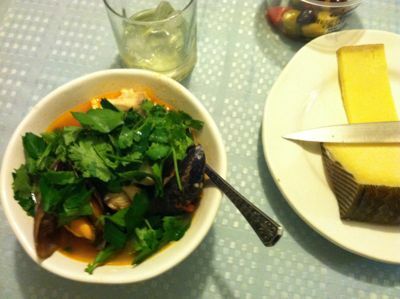 Sitting down to dinner: big bowls of stew, good cheese, and fancy olives. Yum! This meal was so good I made it twice, including on New Year’s Eve. 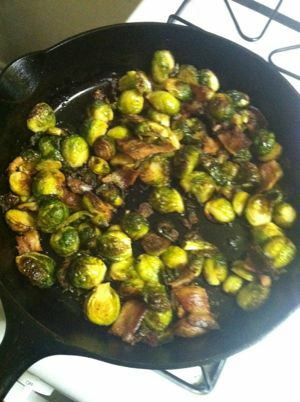 I can’t find the recipe I loosely followed (it might be this one), but basically I cooked the bacon in my big cast iron pan, added the brussel sprouts and a generous amount of salt and pepper, and then put them in the oven for about half an hour, stirring occasionally. The second time I made them, I added a little bit of balsamic at the end. These are pure magic. Alright, off to make soup (and manhattans) at M’s place tonight! More soon. 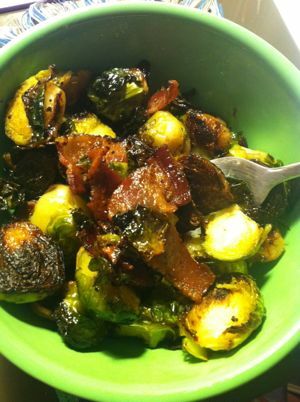 This entry was posted in kitchen and tagged bacon, brussel sprouts, kitchen, mussels, seafood stew by barefootrooster. Bookmark the permalink. 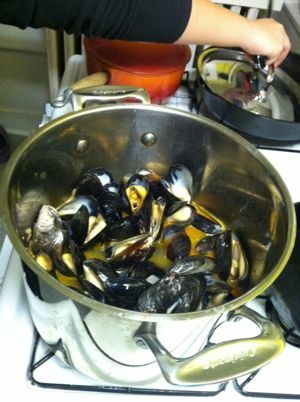 I love mussels, and the idea of cooking them in rye (instead of beer or wine) sounds amazing. 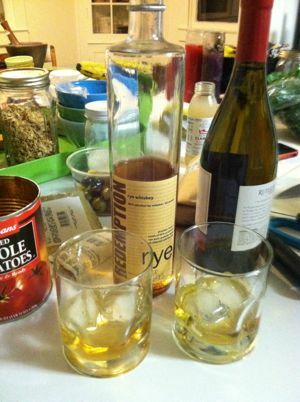 We’re on a huge bourbon kick here at Caffeinated Yarn right now. Yay for all of this! In fact, you just might have found the perfect way to start the semester. You always peak my foodie interests with your amazing dishes. 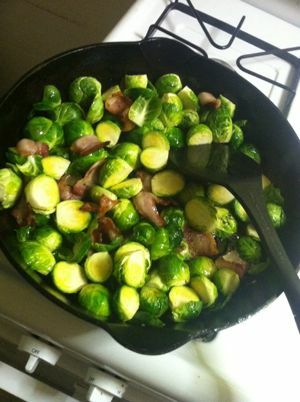 Brussel Sprouts with bacon are going to be a must for me this year!